Apple Inc co-founder Steve Jobs, who changed the daily habits of millions by reinventing computing, music and mobile phones, died on Wednesday at the age of 56. Apple loses a visionary leader who inspired personal computing and iconic products such as the iPod, iPhone and iPad, which made Jobs one of the most significant industry leaders of his generation. His death after a long battle with pancreatic cancer sparked an outpouring of tributes as world leaders, business rivals and fans alike lamented his premature passing and celebrated his monumental achievements. “The world has lost a visionary and there may be no greater tribute to Steve’s success than the fact that much of the world learned of his passing on a device he invented,” US President Barack Obama said in a statement. Fans paid homage to Jobs outside Apple stores around the world, from Los Angeles to Sydney. Outside one store in New York, mourners laid candles, bouquets of flowers, an apple and an iPod Touch in a makeshift memorial. In San Francisco, they held up black-and-white portraits of Jobs on their iPads. Some mourners in Tokyo held a sunset vigil, using apps on their iPads to show flickering candles on the screen. Many Web sites, including Apple’s own, were transformed into online memorials, a testament to the digital creativity that Jobs inspired. “For those of us lucky enough to get to work with him, it’s been an insanely great honor,” said Microsoft’s Bill Gates, who once triumphed over Jobs, but has seen his legendary status overtaken by the Apple co-founder in recent years. 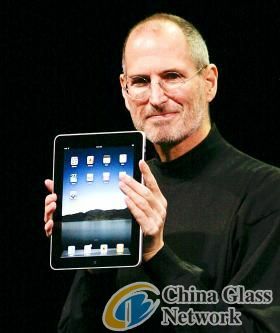 Jobs was surrounded by his wife and immediate family when he died in Palo Alto, California, Apple said late on Wednesday. Other details were not immediately available. Jobs stepped down as chief executive in August and handed the reins to long-time operations chief Tim Cook. With a passion for minimalist design and a genius for marketing, Jobs laid the groundwork for the company to continue to flourish after his death, most analysts and investors say. A college drop-out and the son of adoptive parents, Jobs changed the technology world in the late 1970s when the Apple II became the first personal computer to gain a wide following. He did it again in 1984 with the Macintosh, which built on the breakthrough technologies developed at Xerox Parc and elsewhere to create the personal computing experience as we know it today. The rebel streak that was central to his persona got him tossed out of the company in 1985, but he returned in 1997 and after a few years began the roll out of a troika of products — the iPod, the iPhone and the iPad — that again upended the established order in major industries. A diagnosis of a rare form of pancreatic cancer in 2004 initially cast only a mild shadow over Jobs and Apple, with the chief executive asserting that the disease was treatable, but his health deteriorated rapidly over the past several years and after two temporary leaves of absence, he stepped down as chief executive and became Apple chairman in August. Jobs’ death came just one day after Cook presented a new iPhone at the kind of gala event that became Jobs’ trademark. Perhaps coincidentally, the new device got lukewarm reviews, with many saying it was not a big enough improvement over the existing version of one of the most successful consumer products in history.